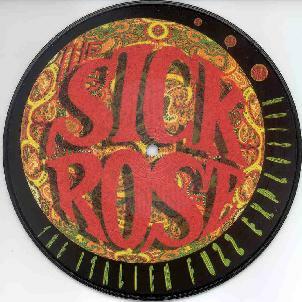 I don't have any info on this band but The Sick Rose play garagey psychedelic songs that bring back lovely paisley colored memories of the 60's. Just dig that organ. Pop-psych... surf-psych... New Wave... it's a blend of all these elements. They bash, crash, and rock hard throughout four short songs, but this is sufficient to show that these guys can crank out some excellent rockin psych tunes. The band consists of Luca Re on vocals, Diego Mese on guitar, Rinaldo Doro on organ, Wally Bruno on bass, and George Aba on drums. If you're in the Hannover area of Germany then check them out at the 2002 Swamp Room Happening June 18-19. Swamp Room Records puts out some of the most beautiful vinyl releases on the planet and this 7" is no exception.